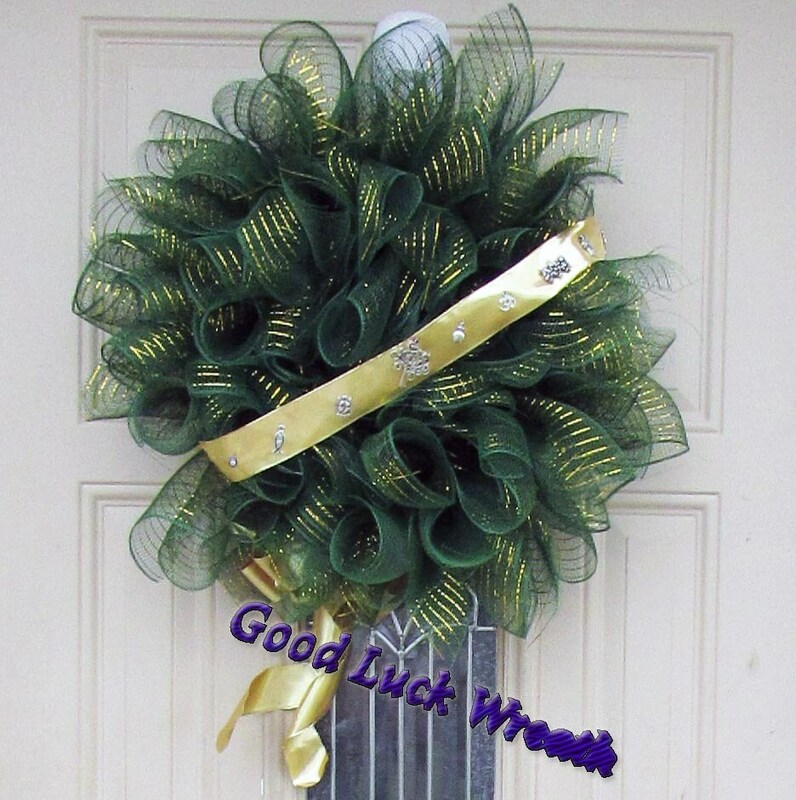 We have created this wreath with good luck in mind! 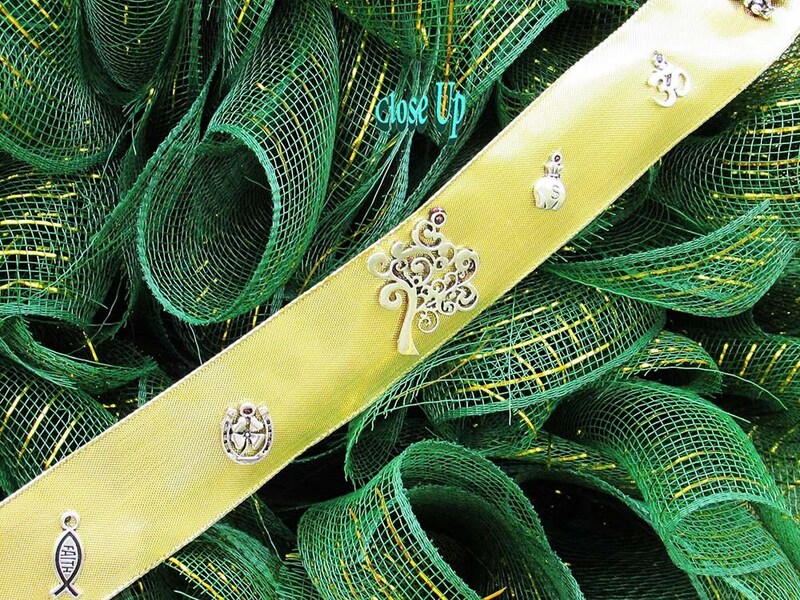 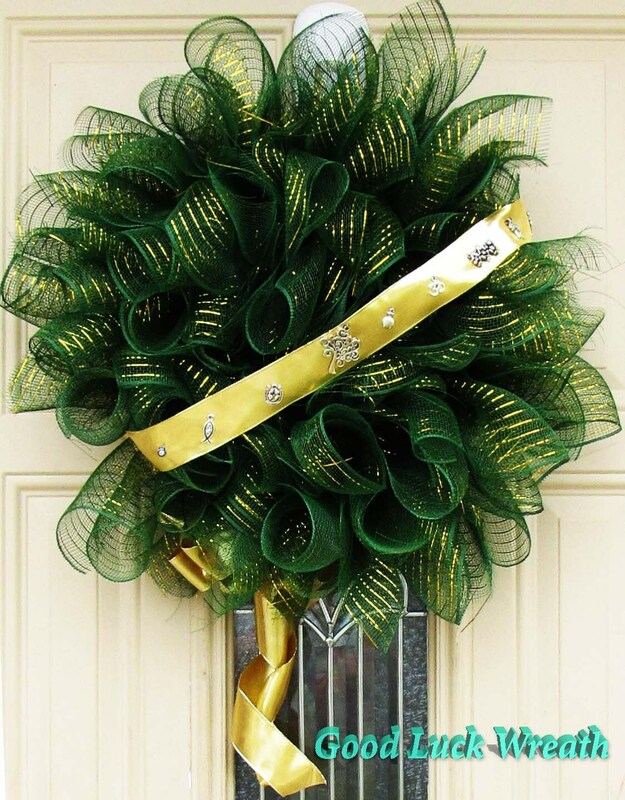 Our good luck wreath is fashioned with emerald mesh on a wire wreath. 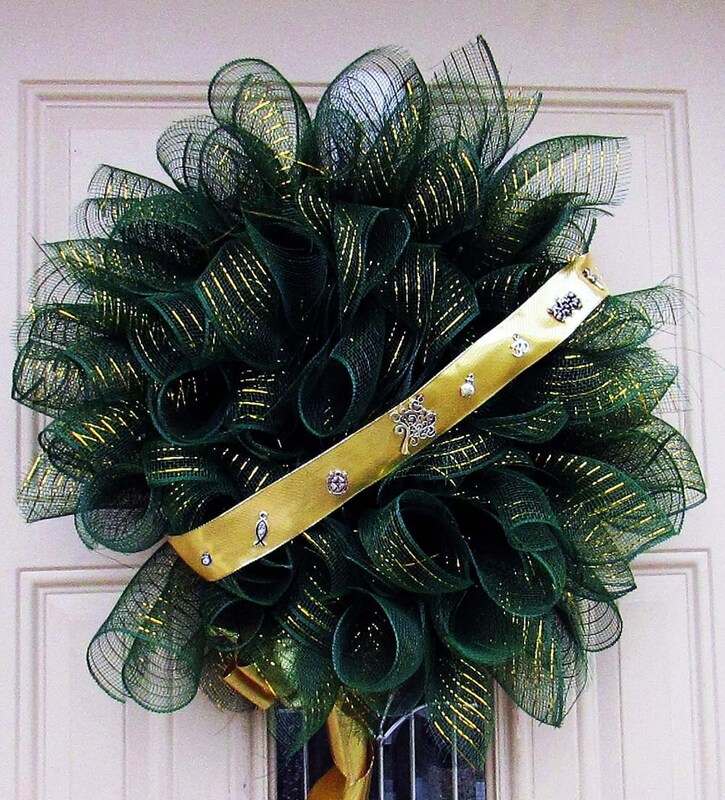 Each wreath will include “good luck” charms scattered throughout; we will also add a gold ribbon with a few charms attached that you are welcome to put on your wreath or use in another location (upon request), if not requested, the gold ribbon will not be detachable.